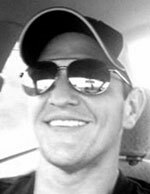 Kevin Michael Surbaugh, 29, of Ronceverte, West Virginia passed away Saturday, June 9, 2018 at home after losing his battle with addiction. Born November 11, 1988 in Fairlea, Kevin was the son of Teresa (Randy) Broyles of Ronceverte and Terry Surbaugh of Clintonville. Kevin received his welding degree from Greenbrier Community College. He loved the outdoors, especially fishing and floating on the Greenbrier River. He will always be remembered for having the most infectious smile and a heart made of gold. Preceding Kevin in death was maternal grandparents, Richard and June Nichols; paternal grandfather, George Surbaugh and brother, Justin Surbaugh. Surviving Kevin include his parents, Teresa (Randy) Broyles of Ronceverte and Terry Surbaugh of Clintonville; paternal grandmother, Doris Surbaugh of Clintonville; brothers, Jared (Lauren) Surbaugh of Morgantown and Travis Broyles of Rocky Mount, VA; sisters, Lauren Surbaugh of Lewisburg and Kristi (Scott) Newman of Fishersville, VA; and a host of aunts, uncles, cousins, nieces, nephews and friends who loved him dearly. A memorial service will be held Saturday, June 16, 2018 at 7:30 p.m. at the Wallace & Wallace Funeral Home in Lewisburg with Pastor Mark Shafer officiating. The family will receive friends from 5:30 p.m. until time of service at the funeral home.